With success across the province of Ontario in 2018, Rick Spencer-Walt was able to put together an impressive season, capped off by winning a pair of championships. “Just incredibly humbled to be surrounded by great guys and a great team and very supportive sponsors who follow us everywhere,” he commented. The year didn’t start off as wonderfully, though, as the first month saw the No. 31w ranked deep in the standings at the end of the events due to incidents throughout the races. The back-to-back issues began to add up, with Spencer-Walt contemplating packing it in. 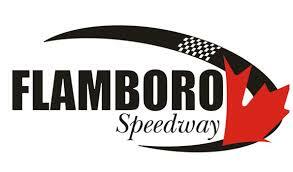 The team chose to run the full schedule at Sauble Speedway, visiting victory lane on multiple occasions en route to winning the track championship after a year-long battle against track veteran Jason Parker. He also ran the full Great Lakes Concrete Series schedule between Sauble and Sunset Speedway, running solidly through the first five races with three victories, a runner-up, and a fourth to enter the series finale with the points lead. A mechanical issue would park the No. 31w on Lap 19 of the Velocity 250, leaving Spencer-Walt on the sidelines as he watched on to see where his competitors would place and if the previous finishes were enough. It would barely enough, as he would tie with Jordan Lawrence for the points lead, getting the tie-breaker virtue of the wins. After starting off the year with struggles in the APC Auto Parts United Late Models of Ontario Series with the Pro Late Model, Spencer-Walt returned to the series in August at Sunset Speedway. Starting 10th for the 100-lap feature, he would track down Jake Sheridan for the top spot, getting alongside him on Lap 55, completing the pass a lap later. Despite four restarts over the back half of the feature, he was able to fend off the field on each one of those, crossing the finish line in first to score his first APC feature victory. The string of success, dating from mid-summer to the end of the season, saw Spencer-Walt score eight wins and 19 top-fives in his last 21 races at Sauble Speedway and Sunset Speedway, combined. Of course, Spencer-Walt wouldn’t be able to put up the numbers he was able to without the support of team owner Eldon Wellis, and the crew members helping out each week. The team plans on celebrating their accomplishments at the year-end banquets, but has also already began shifting their focus towards the 2019 season.